Originally $29. 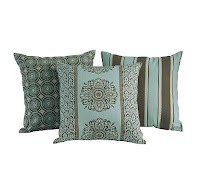 I really like the mosaic tile pillow, with all the circles. From Restoration Hardware.